Customers, employees, partners and suppliers alike expect applications and digital services to be fast, reliable and always-on. Delivering rich, consistent digital experiences to users can be hindered by fragmented management tools and limited insights into the impact of digital services on end users and the business. Riverbed provides an integrated solution for digital experience management that enables you to understand current performance levels, proactively resolve issues, and identify areas for continuous improvement. Companies need to ask themselves the questions: am I using the proper tools to deliver a seamless and solid end-user experience; do I have insight into each and every step, infrastructure and network component to prevent and or fix performance issues; and can I manage and optimise IT systems and processes quickly and easily to improve my customers digital experience? We asked Paul Griffiths, Senior Director, Advanced Technology Group, Office of the CTO, Riverbed Technology, who will be presenting at the event, to elaborate. ITWeb: What according to you is 'digital performance'? Is digital just another buzzword or will it become an integral part of every business's overall strategy? Griffiths: We're living in an era of digital transformation. The use of digital technologies to transform business is having a dramatic impact across every sector and industry. Riverbed, in partnership with ITWeb, presents "Drive digital performance to achieve success 2018". This event takes place on Thursday, 15 March 2018 at the Four Seasons Hotel The Westcliff. You are invited to spend the morning with experts to discuss how you can stay relevant in an ever-changing digital landscape. Click here to register for this complimentary event. From Riverbed's perspective, we've always been committed to performance. When we began, performance was measured in speed, and we made a name for ourselves in moving data and delivering experiences faster than had been done before. Now, in the midst of digital transformation, we know that companies are looking to the cloud and beyond to secure and fuel digital services and their business. solutions. Our solutions transform the way customers run the powerful network- and cloud-based applications that connect people, businesses, and experiences in our digital world. ITWeb: How does driving digital performance achieve success - what key element needs to be in place in organisations for this to happen? Griffiths: Driving towards digital performance leads organisations to realise that every day is an opportunity to go someplace new, to discover a different path, to push boundaries and imagine new possibilities. One of the key elements for organisations is their willingness to embrace change and recognise that the thinking "...because we have always done it that way" is not going to bring about digital transformation within their business. ITWeb: Why is it so important that organisations are aware of the impact of their digital strategy/experience? Griffiths: It is important because digital and business performance is about far more than just speed. It's a complex and multidimensional issue. It benefits from a perspective that is holistic and free of constraints. It's this perspective that enables businesses not only go to new places, but to go further than they could have ever imagined. ITWeb: What are the challenges associated with consistently delivering high performance digital services? Griffiths: We've watched as our clients' networks have become increasingly complex and dynamic, where expectations are high and tolerance for error is almost zero. The need for far greater control and visibility, when moving to the cloud, are key reasons why SD-WAN is high on the agenda for organisations. 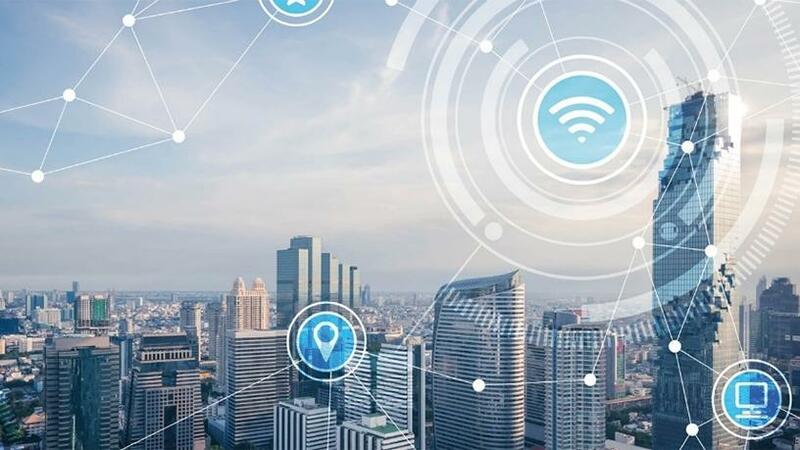 The agility and ubiquitous connectivity that comes with SD-WAN and SDN in general, enable those challenges to be tackled head on. That is why our software and solutions are designed to create the connections that drive business success within the new definition of digital performance. Riverbed accelerates business performance through a complete portfolio of industry-leading digital performance solutions. ITWeb: What are the benefits of achieving success in overcoming the above challenges? Griffiths: Organisations can measure their success by how well their businesses operate, adapt, and thrive. Their success is a result of their performance: their operational performance, their financial performance - their business performance. Riverbed's mission is to help organisations of all shapes and sizes achieve peak digital performance, go beyond expectations, reach new answers, and rethink what's possible.